My entire childhood days were spent watching Jeremy Brett playing Sherlock Holmes in the Adventures of Sherlock Holmes, a British TV series based on the short stories of Sir Arthur Conan Doyle. I would eagerly wait for Sundays just to see this show. I specifically loved the character Sherlock Holmes and his astute deductions of human behavior based on simplistic and detailed observation. His being socially inept and rude had no bearing on my admiration for him. I realized that observation alone is of no use without logical deduction and timely action. I guess this was the seed that was planted in me to rejoice thrillers and mysteries even today, especially, where there are detectives and lawyers slicing and dicing the evidence. Even medical enigmas like House MD! So far in my adult life, I have been catching the re-runs of Sherlock Holmes on PBS and even Agatha Christie’s character Hercule Poirot. And, among the newer and relevant thrillers, I love Monk and CSI. I also am an avaricious reader of John Grisham, Michael Connelly, Mary Higgins Clark, Robin Cook and more recently David Baldacci. Sherlock Holmes is a fictional character created by Sir Arthur Conan Doyle. The character is a consulting detective to Scotland Yard and is known for logical reasoning using observation, deduction and sometimes forensic skills. He was also known for using perfect disguises to solve many cases. 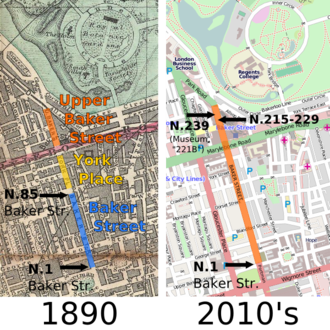 He lived at 221B Baker St.
Dr Watson was his partner, friend and chronicler of all his cases. Sherlock is eccentric and arrogant. But at the same time he never took credit for solving cases. In fact, this character is the backbone even today, to all the fictional detectives that get created. If you look at Monk, Dr Gregory House, and even Poirot, they all are eccentric and socially awkward. While one of them is an OCD, the other is an addict and a narcissist. But one common thread connecting them is their observation skills. However, this character is seeing so many makeovers and versions recently. 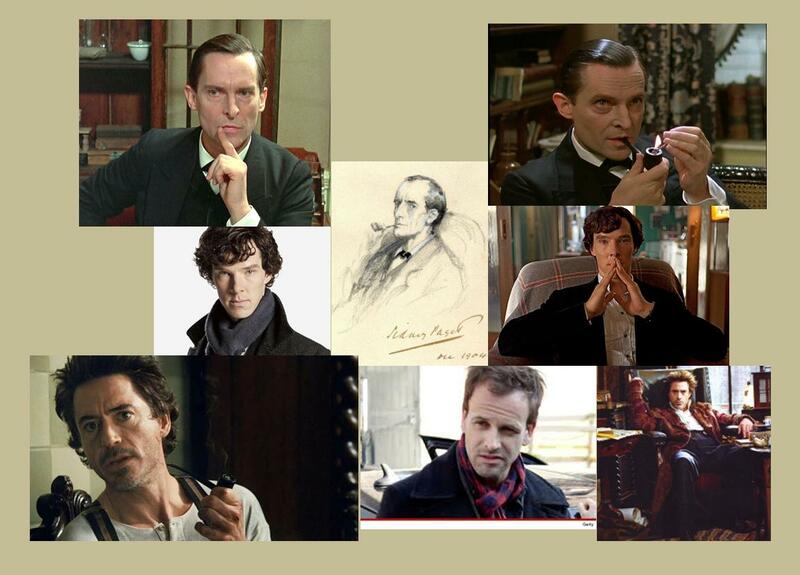 Check out the actors who have played Sherlock Holmes. The year 2009 saw a mega movie with Robert Downey Jr playing Sherlock Holmes and what a perfect choice. The character was further exaggerated with extreme eccentricities and humor. The plot itself had a great combination of action and drama. Seeing this success and the guaranteed ROI, we have some new shows in TV now. BBC came out with their short series and a new interpretation. Their Sherlock, played by Benedict Cumberbatch, is a modern day young detective and a consultant to the cops. He has a cell phone which further helps him in his logical deductions. Not wanting to be left alone, American TV has thrown in its hat into the ring to create “Elementary”. The Sherlock Holmes in this show has just come out of rehab. After being kicked out by the Scotland Yard, he comes to New York to assist NYPD. It is also modern and relevant to our times but has a twist. Dr Watson is a woman and to top that, an Asian. Gender and Race change, awesome! I know that many literary purists are quite shocked with this interpretation but I quite liked this version. Lucy Liu has the chutzpah to counter Sherlock. I already love her comebacks like “You are full of it” or my favorite where she points out that Holmes doesn’t have any mirrors around his apartment because he knows “a lost cause when he sees one”. Touché! But I hope they build on this chemistry and not make her just another female eye candy. So, what more is left? Are we going to get an animated version or a 3D movie with Robert Downey Jr? And, to my Indian friends, what about an Indian Sherlock Holmes? Since Bollywood loves to copy, why hasn’t anyone thought about this yet? Indian TV is still synonymous with “Karamchand”, a popular detective show of the 80s which was the first of its kind and still the best. So, maybe it’s time for something new even if it is an old wine in a new bottle. Bu if Bollywood were to make an Indian twist on Sherlock Holmes then my bet would be on Vishal Bhardwaj to direct it, after all he succeeded in making Indian adaptation of Othello and Macbeth. My next bet is on Farhan Akhtar because his modern take on Don was not bad at all. But who do you think can play this role? In my opinion, Abhishek Bachchan will be a great modern day commercial Sherlock. In fact, Irrfan Khan will also be a great choice. What do all think? You are currently browsing the Kaffeinerush's Blog blog archives for October, 2012.